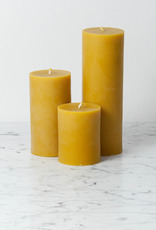 One of the most heavenly things a beekeeper experiences when she opens her hive is the smell of fresh beeswax. 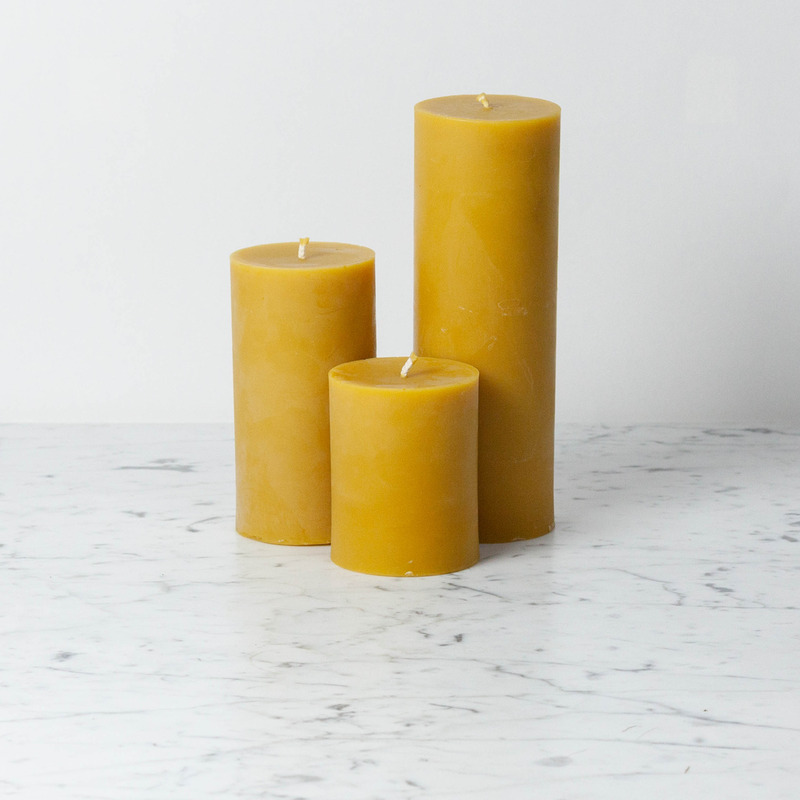 Local beekeeper friend Kate and her family have kept the apiary buzzing at their family's organic farm for four generations and we're pretty much obsessed with their sustainably produced beeswax products. 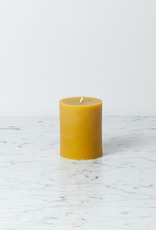 Burning longer, cleaner, and more evenly than paraffin candles, with a soft light coming from the round, white flame, and giving off the intoxicating golden-sweet smell of honey, this additive-free pillar candle has a cult following at The Foundry. 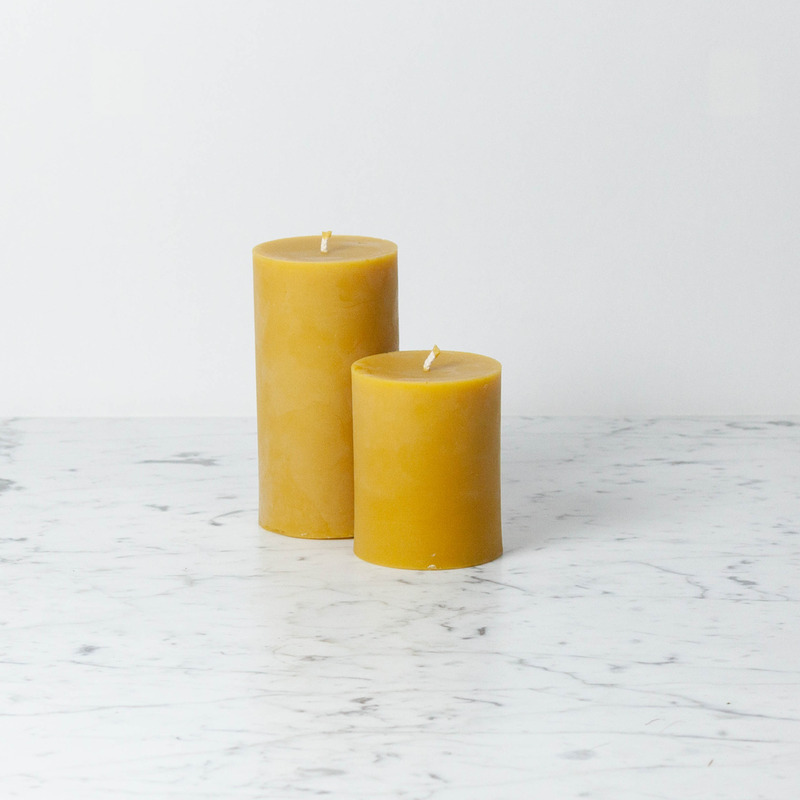 Set up an altar to all things bright and beautiful or fire it up when you get home from a long day and need to bring a little honey-sweet warmth and light into your world. 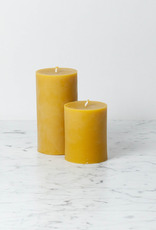 Lovingly handmade from 100% pure beeswax with a cotton wick. 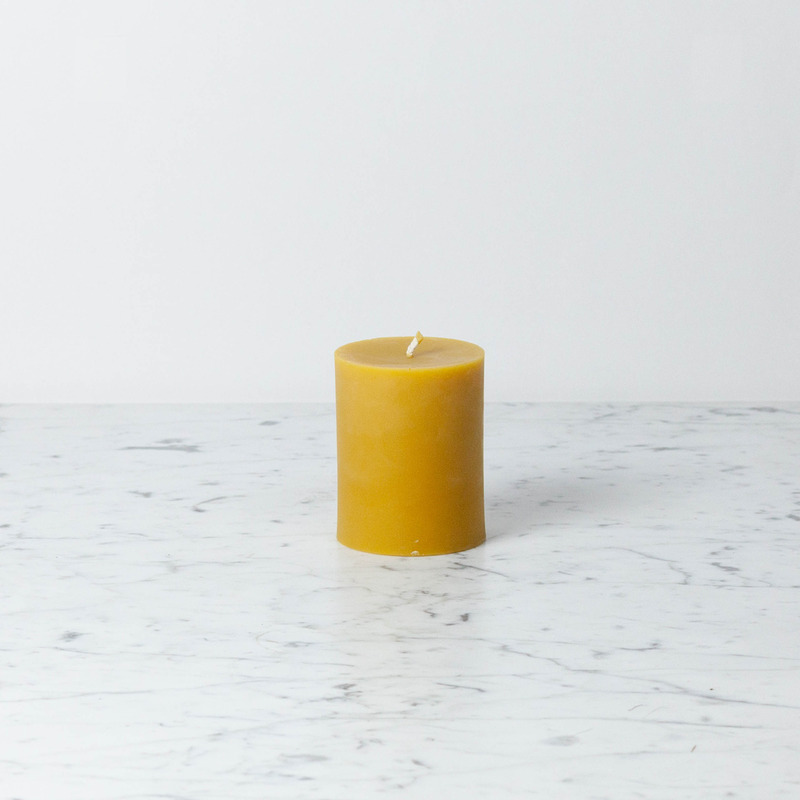 4" tall x 3" wide, approximate 60 hour burn time.